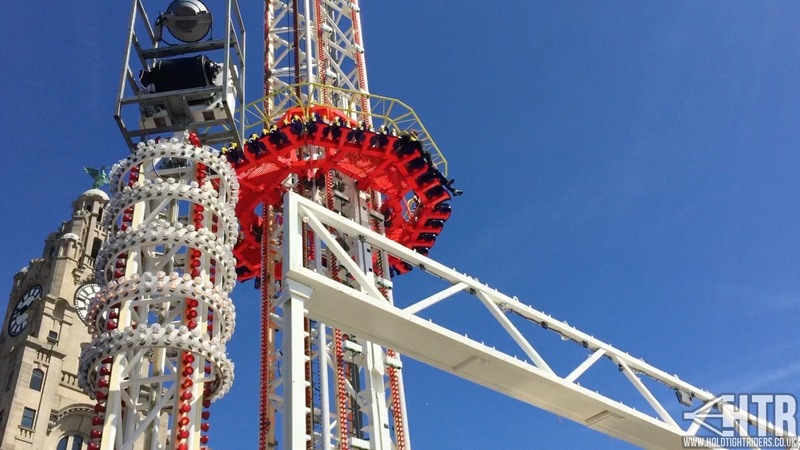 For the first time in UK fair history, an English showman has purchased a Maurer Power Tower ride. We went over to Liverpool to check it out on its opening day. 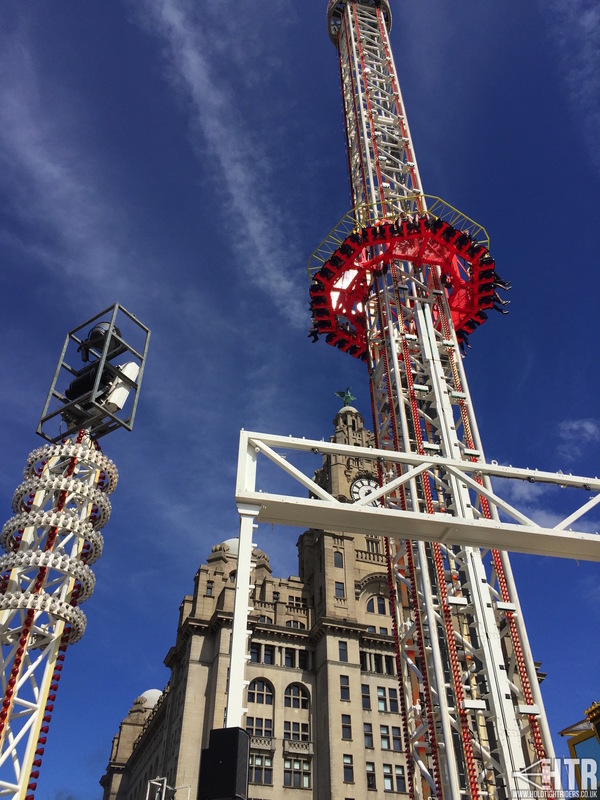 Built by German firm Maurer, the Power Tower is somewhat iconic amongst fairground enthusiasts. This is largely thanks to Ewald Schneider of Germany who famously travelled Power Tower 1 and then Power Tower 2, the latter of which has visited the UK in the past for the Hyde Park Winter Wonderland. 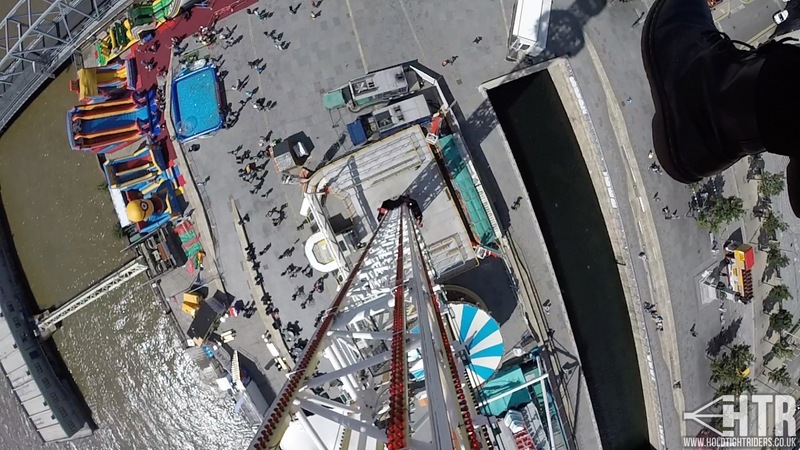 What makes the Maurer towers special is the fact that unlike a ‘true’ free fall tower where the car is released and dropped, the car is instead attached to the pulley system even when it is dropping, allowing the ride to run long sequences with drops from different heights, pauses and fast upward travel. This is the first time an English showman has ever owned a tower ride of this type. 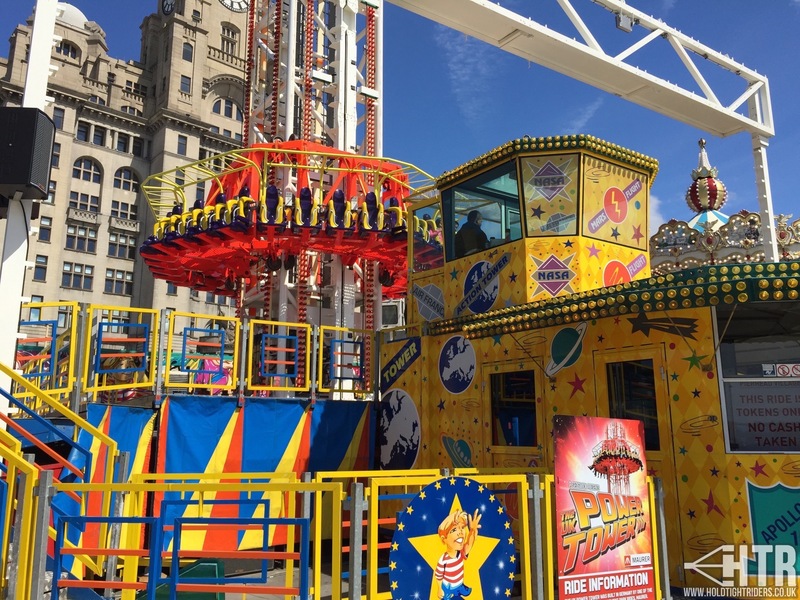 Bought by Peter Sedgwick Jnr, the ride will spend Summer 2017 at the Liverpool Pier Head Village. Prior to its arrival in the UK, the Power Tower spent its early life in Germany. It was originally built in 1998 for German showman Kinzler, who travelled it under the name Freifall Turm, sporting an all-blue painted tower with yellow lights. 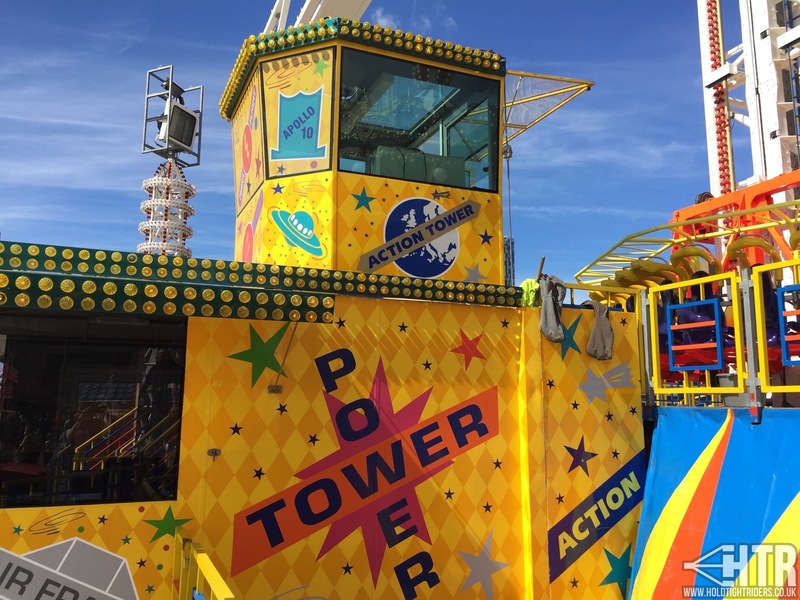 In 2003 the ride changed hands and became known as the Action Tower whilst travelling under the ownership of Kipp. This lasted until 2007 when the Tower went back to Maurer, was refurbished, and then put into storage until today. It has to be said that this really is a fantastic addition to the UK fair scene. 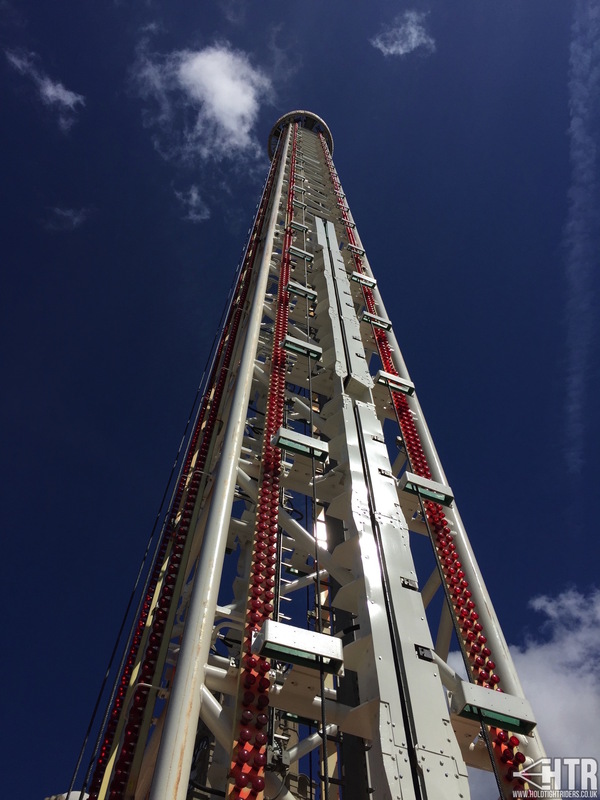 The ride really does look big and imposing when stood in front of it – pictures don’t do the 55m height justice! It is also very well presented with a clean and fresh looking paint job. And of course, the ride experience itself is brilliant – riders were being treated to up to 9 drops per-cycle during our visit. 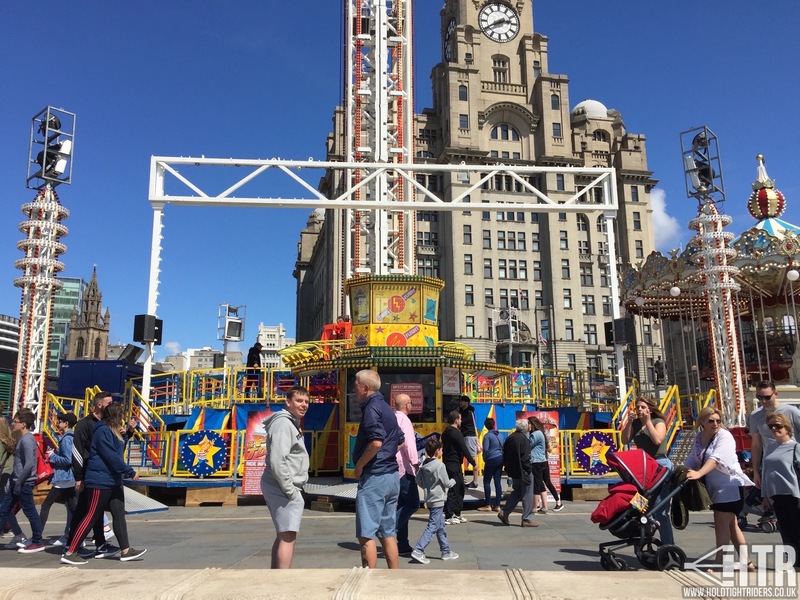 The Liverpool Pier Head Village is open from 30th June – 10th September 2017. Entry is free. More details can be found on their website. 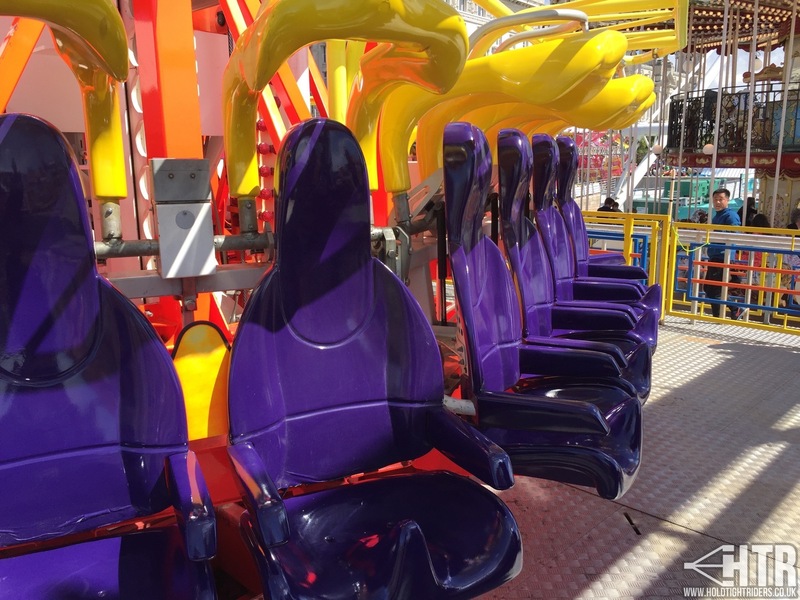 Tags: Europe, Flat Ride, Gallery, New, Off Ride, On Ride, Photos, Review, Single Ride, Thrill Rides, Videos.